E1002 ,malabar county 2, behind nirma university, Ahmedabad. 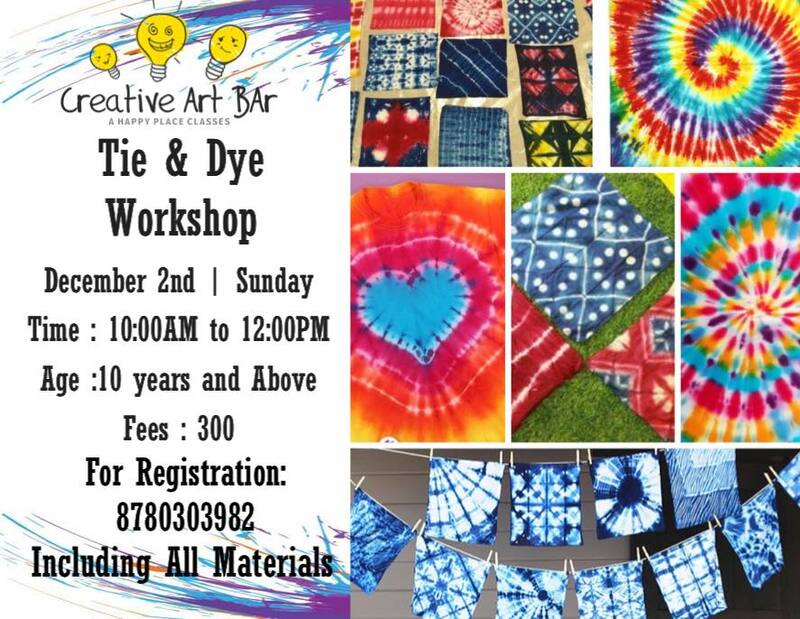 Creative Art Bar bring a workshop to learn the craft of TIE and DYE. – Tie & Dye kit will be provided. Student can take their 5 patterns of tie dye on 14*14 fabric swatches.